iliekater Jan 27 2010 3:52 pm A nice horror movie , not very exagerated and with a good plot . 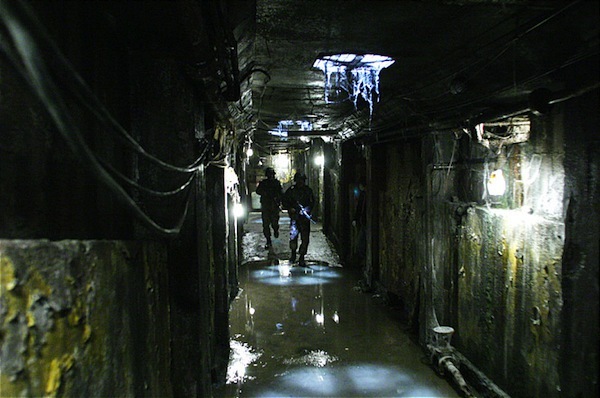 It reminded me much the 2001 film called "The bunker" , though there are many diferrences . However , I only wonder why did they use the same melody (and that was twice) that was also used in another military movie ? 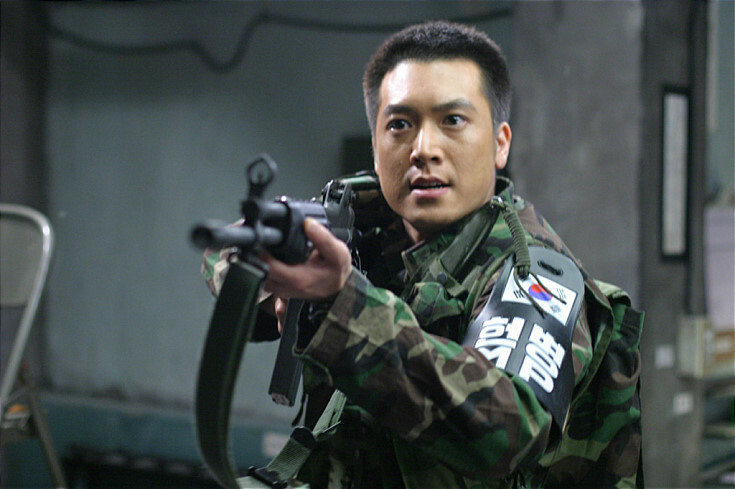 I am refering to the excelent movie "Joint security area" from 2000 . Ki Feb 11 2009 4:40 am From Su-chang Kong, writer & director of the horror/war film “R-Point,” comes his second film also dealing with the military and having horror film elements. Set in a heavily fortified military base along the Korean DMZ, GP-506 weaves a gripping mystery that just may make you scream. In the heavily fortified DMZ between the two Koreas, the South’s Guard Post 506 has experienced mystifying events on a cataclysmic scale. 20 soldiers are reported dead, leaving one sole survivor at GP 506. 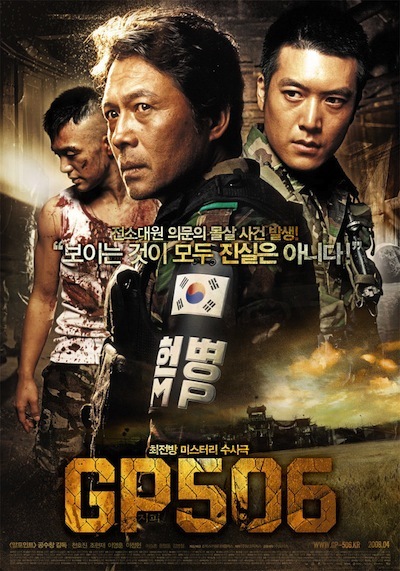 Higher level military authorities scramble to uncover the mysteries behind these deaths and appoint Sergeant Noh, considered the best in the military, to lead the investigation. The deaths are particularly sensitive, because one of the victims is thought to be Lt. Yoo, the son of the Army’s Chief of General Staff. 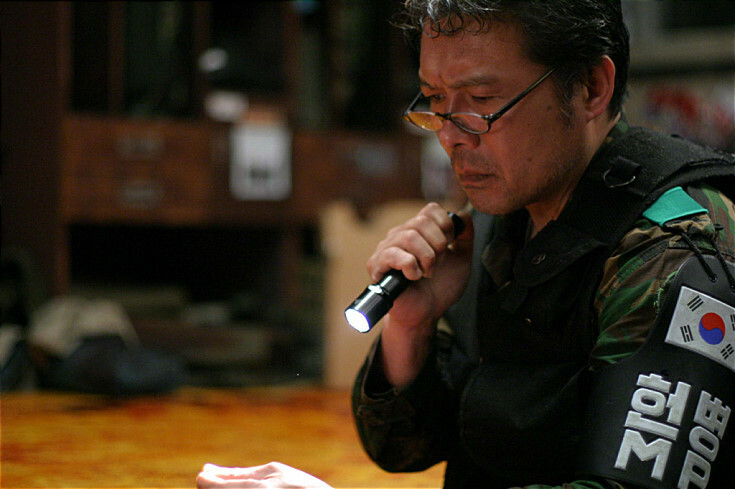 Making things more difficult for Sergeant Noh is that the Army has given him until 6 AM to finish his investigation. The investigation group arrive at GP 506 under torrential rains, resulting in the investigative group becoming trapped within GP 506 themselves. 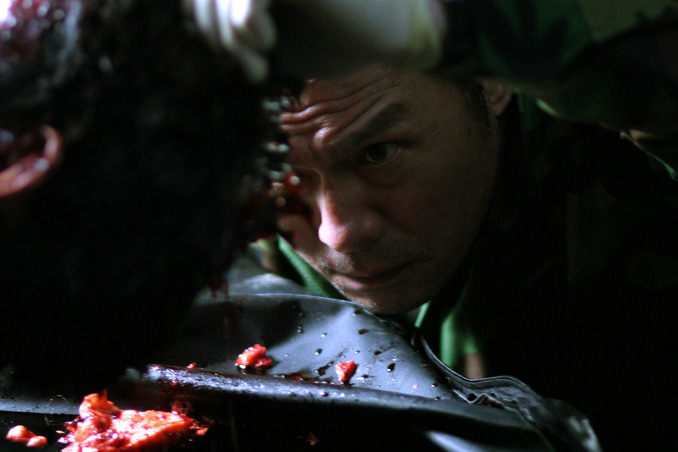 They find a comatose Corporal Kang with axe in hand. A video tape is also discovered of Corporeal Kang stating his intentions to kill the entire unit at GP 506. Then, Lieutenant Yoo is found alive but severely traumatized. The minutes tick away, 6 AM is quickly approaching , while the investigation team at GP 506 uncover even more startlingly secrets. What works in favor of “The Guard Post” is that spooky mystery-in-a-military-base setting. The story is also well crafted, unpredictable, and creepy enough to make you jittery at all times. The film also features another strong performance from South Korean acting vet Ho-jin Jeon (My Lovely Week/The Shim’s Family) in the starring role. There’s also Young-hoon Lee, having made quite an impression in the gay pic “No Regret,” appearing in his second ever film. The Achilles heel for the “The Guard Post” would clearly be its production value. Visually, the film looks low budget, similar to those grade B military movies you see on late night cable TV. I found this distracting enough to become a barrier to the movie’s ability to draw you into its world. And that’s a shame, as the story and the film itself is of the type where it begs you to become completely immersed in its world. Flashbacks were also not as clearly delineated as it could have been, but it also sometimes added another layer of suspense to the movie. If anything, “The Guard Post” almost begs for a remake with better production values. That’s not to say you shouldn’t check out “The Guard Post.” It certainly is one of the more unique horror films made to date, especially if you like your horror with lots of mystery.